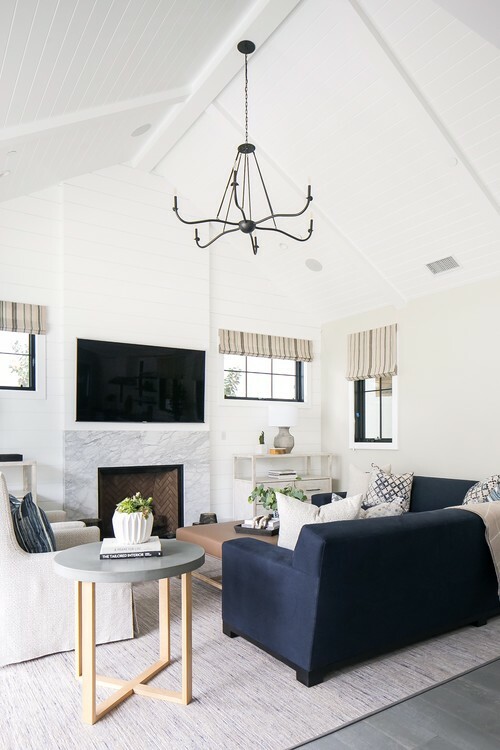 The living room of the modern farmhouse beach home sets itself apart from the entry with the addition of navy blue. 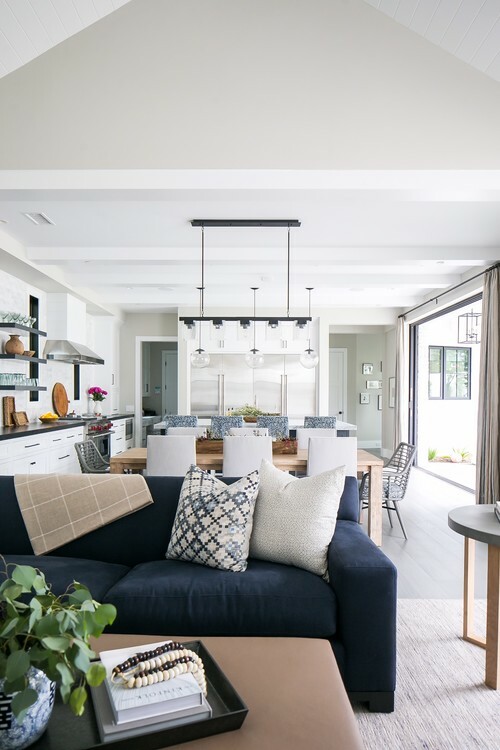 The sectional makes a cozy statement, and the blue is echoed around the room in the patterned pillows and window shades. Even the rug has subtle hints of navy.